Abraham misunderstood. God never intended he should sacrifice Isaac. Faithfulness to God, and to no other, is the theme of the Psalms and the stories of the Hebrew Bible, especially in the stories of Abraham told in the Book of Genesis. Abraham dismissing Hagar and Ismael. Abraham was a friend of God. He walked with God, he disputed with God, and he was faithful to God’s promise that he, Abraham, would be the father of nations. 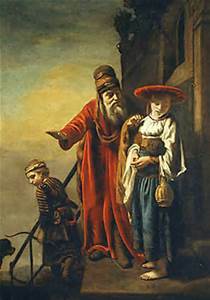 At first, it appeared that his son Ishmael, born to his wife’s servant Hagar, would be his only offspring and was the heir of God’s promise. This apparently was not God’s plan. Hagar was exiled with Ishmael and they lived to begin a new tribe in the desert. Hagar could very well have sung psalmist’s words of despair as she struggled to save Ishmael from the heat of the desert. Abraham and Sarah entertaining the three angels. Now recall the story of Abraham and his wife Sarah. They were in their old-age and childless when three men, apparently angels, come to their tent at the Oaks of Mamre. Abraham greeted them with hospitality, they had a meal together—prepared by Sarah—and Abraham was told again he and Sarah would have a son. Previously, remember, God told Abraham that he was the father of a race that would number more than the stars in the heavens. Up to this moment, other than Ishmael, there had been no evidence of this promise. Now, Abraham has marched his one and only son up a hill to kill him as a sacrifice to God. Wait a minute here! Has not Abraham walked and talked with God. Were they not friends? Abraham disputed with God over the fate of Sodom and Gomorrah, why has he not disputed with God over this very important situation? 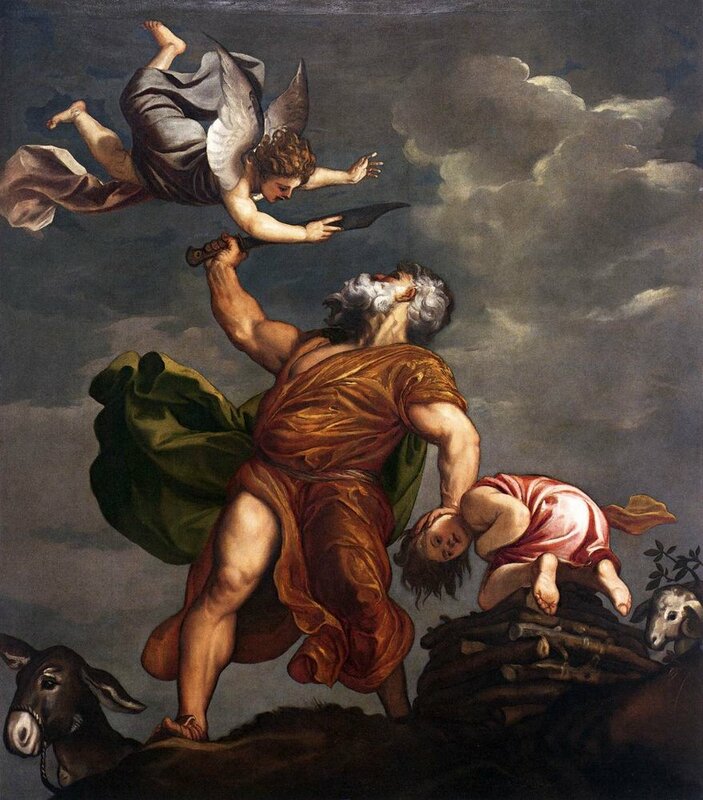 Fortunately, despite Abraham’s silence and acquiescence, God stopped Abraham in mid-thrust of the lethal knife and Isaac was saved from a terrible death. Wonder what scars Isaac carried after all this? Throughout human history, the powerful have demanded human sacrifice—especially the sacrifice of the young. The act of sacrificing children is seen in almost all early and primitive civilizations all over the world. This was especially prevalent in Canaan, the region of the Fertile Crescent we now know of as Iraq, Syria, and Israel and Palestine. So, what is the point of this story? Is God evil? Is Abraham repentant? Does Isaac overcome the scars of abuse? Should the characters in these stories feel abandoned and forlorn as the psalmist did? Why did the psalmist lament that God does not hear him or that the waters have risen up to his neck? God heard Abraham, why did not Abraham cry out to God, “You can’t mean this!” Can the God, whom Jesus will proclaim to be love, be so cold and indifferent to murder a child as a sacrifice to the Divine? The Hebrew Bible is filled with stories of murder, mayhem, sexual abuse, sexual assault, and demands from God that whole tribes be eliminated from the face of the earth—genocide. Sometimes, it is difficult to call the Bible “The Good Book.” Still, it is the good book. The bulk of the Hebrew Bible tells the story of humankind finding itself, coming to terms with itself as thinking and moral creatures, as much as it telling the story of humanity and its relationship to God and vice-versa. Additionally, we can see in the words of the stories, the Psalms, the Proverbs, the Prophecies that humankind can develop a new relationship with Divine; as humanity changes, God changes. Nonetheless, we need answers to why we read these ancient texts and what do they mean for people today. There appears to be two reasons, for example, for telling this story Abraham and Isaac. The first purpose of the story, some believe, is to teach that obedience to God cannot falter. 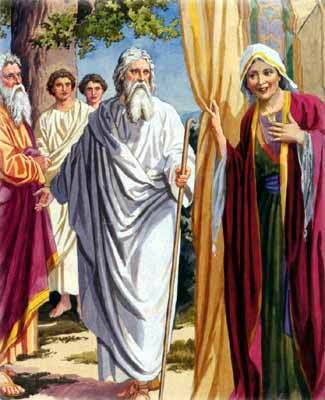 The legends around this story, but not in Scripture, add that Sarah knew what Abraham was going to do that morning as he sets out on his errands with Isaac. Even Isaac knew what was about to happen. Abraham did not falter. In all three cases, Sarah, Isaac, and Abraham, obedience to God was the only act that matter. So they went on to carry out God’s command. Next, the story was told to counter the terrible religious practices of the region of the Promised Land. In the Book of Deuteronomy we read of Moses command, “You must not worship the Lord your God in their way, because in worshiping their gods, they do all kinds of detestable things the Lord hates. They even burn their sons and daughters in the fire as sacrifices to their gods.” There were other detestable religious practices including the prostitution of children. Because many of the people of Israel were falling into the temptation of following the gods of Canaan, these restrictions and teachings were added to the law. Isaac carries the wood for the sacrificial altar. Some make an effort to show similarities of the event by pointing out Isaac was the promised son, if not Abraham’s only son, and that Isaac had to carry on his shoulders his form of execution—the tinder to build the sacrificial fire—on his back up the hill to the altar. Jesus, by comparison, carried his cross to Golgotha. 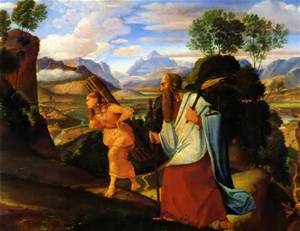 Also in the Christian context, Abraham and Isaac are seen as shadows of the things that were to come, pointing to the Father and Son’s willingness to sacrifice themselves in a great display of love; the Father’s willingness in sacrificing his eternal love, with the Son giving up his own life on behalf of fallen humanity. The Christian writers primarily preached the sacrificial nature of Christ’s death—that is, Christ crucified. For example, the Apostle Paul wrote to the Church in Rome, “But God proves his love for us in that while we still were sinners Christ died for us.” The Apostle John, in his First Letter to the Church wrote, “Whoever does not love does not know God, for God is love. God’s love was revealed among us in this way: God sent his only Son into the world so that we might live through him. In this is love, not that we loved God but that he loved us and sent his Son to be the atoning sacrifice for our sins.” This is the basis for the theology of atonement for Christians. To finish off the universal nature of the story, and only as an interesting note, the story of Abraham sacrificing his son is also told in the Qur’an, but the son is not identified. Most Muslims believe the sacrificial son was his first child, Ishmael, not Isaac. However, there is debate among Muslim scholars over this assertion. Nonetheless, the story is about obedience to God more than who is to be sacrificed in the Jewish, Christian, and Islamic traditions. Several years ago, a nationally famous preacher was asked about this story. He said he would never preach on it. But the story must be read and preached on, at least every three years. It is a story of child sacrifice as much as it is a story of obedience or a story foretelling the sacrifice of Jesus. It is the child sacrifice issue that is most concerning. In American society it may be believed that all those terrible things are behind us—child sacrifice and child prostitution—but they are not. Our youth are sent off to war on whims, on the wishes of the powerful. The youth who will die in those wars have no say in the decisions, in the governance of the country that calls them to service. Children are sacrificed to drugs, to neglect, abuse, and ultimately prostitution in this country and around the world every day. In fact, as a society, the world’s societies are no better than the ancient Canaanites about whom Moses warned the Hebrew people. This ancient story from the Hebrew Bible is pertinent to the twenty-first century. It teaches that God does not wish the sacrifice of children, of people. Abraham, Sarah, and Isaac may have believed that they were being obedient to God, but in their blind obedience they had not heard God until it was almost too late. Often, we think we are being obedient when we send our youth out to be killed and maimed, but we need to hear the story of God’s love in this ancient tale. In other words, we must look for alternatives to war, to neglect, and protect our children and youth, and ultimately ourselves from misunderstanding of God’s will for humankind. Psalm 13:1a, The Book of Common Prayer. Psalm 69:1, The Book of Common Prayer. Psalm 13:6, The Book of Common Prayer. See Genesis 16:1-16 for the story of the birth of Ishmael. See Genesis 21:9-21 for the story of Abraham expelling Hagar and Ismael on Sarah’s command. See chapters 17 and 18 of the Book of Genesis for the Story of Abraham and Sarah being promised a son in their old age. Hebrews 11:17. Of course, Isaac was not his only son. However, he was the promised son. This is a personal experience of the author.